Gain access to your funds faster and improve your cash flow by depositing checks right from your desktop or mobile device. Remote Deposit and Mobile Deposit from Commerce Bank is like having your own secure dedicated deposit window you can use any time you’d like. Great for depositing less than 20 items per month. Remote online deposit checks from any location using your smart phone or tablet. Ideal for depositing more than 20 items per month. Deposit checks from your home or office. Browse our Mobile Banking FAQs for additional information. Learn more about the Mobile Banking App. Browse our Remote Deposit FAQs for additional information. There is no fee associated with depositing checks with the Commerce Mobile App. Small Business Options Checking accounts are charged $15 per month for Small Business Remote Deposit. 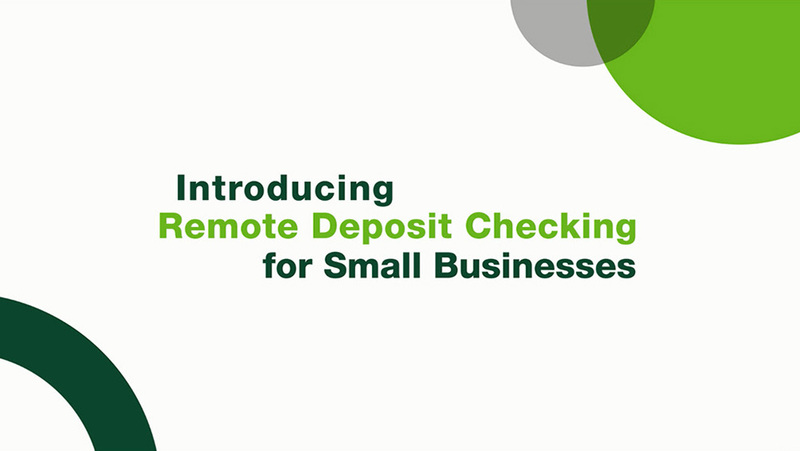 All other non-analyzed business checking accounts are charged $30 per month for Small Business Remote Deposit. Sign up for Small Business Remote Deposit and get your first two months of service free of charge – that’s up to a $60 savings! What do you need to use it? To request more information on Small Business Remote Deposit, call us at 866-365-9346, contact us, or stop by one of our conveniently located branches to speak with a representative. The Standard Scanner model with the service is the Digital Check CX30. Additional scanner models are available for a fee.